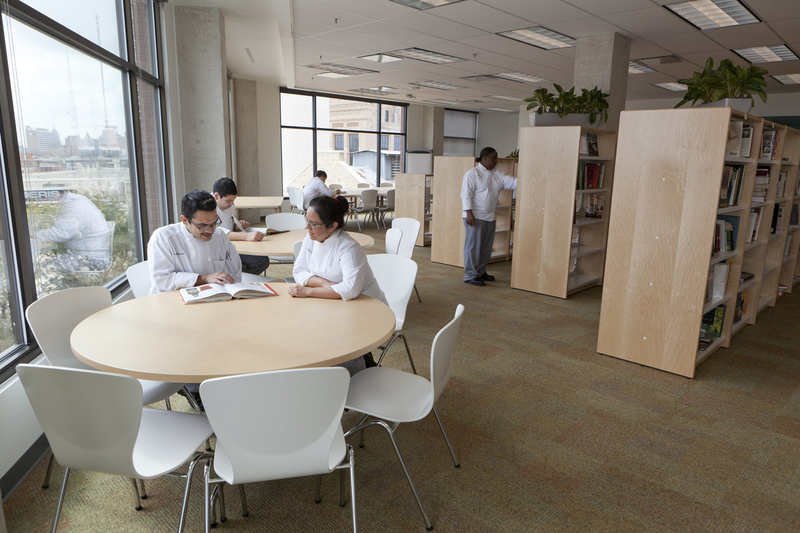 San Antonio, TX – The library at The Culinary Institute of America (CIA), San Antonio has significantly expanded after receiving the book and menu collections of famed writers Barbara Kafka and Fred Ferretti. Cookbook author Kafka donated 3,300 books and 500 menus to the world's premier culinary college. Also included in her gift were 10 file boxes filled with Kafka's recipes, research notes, and fan mail, which will become part of the CIA's library archives. Ferretti, a long-time food writer with The New York Times and Gourmet magazine, and his wife, Chinese cooking expert Eileen Yin-Fei Lo, gave about 4,200 books, wine lists, and gastronomic maps to the college, including many in foreign languages. "Our whole professional lives were dedicated to food and reporting on it. This was basically my research library as I was writing," Mr. Ferretti says of the collection of cookbooks, wine books, and tomes that cover ethnic discussions of food, historic concepts, and other food-related topics. "I hope this furthers the education of students and that their knowledge of food is enhanced by using it." Students are able to reference the books during their studies toward Associate in Applied Science (AAS) degrees in culinary arts and baking and pastry arts. The library at the CIA San Antonio opened in 2010.